Back for a second round, the Ultimate Freestyle Championships in the UK was yet another success. 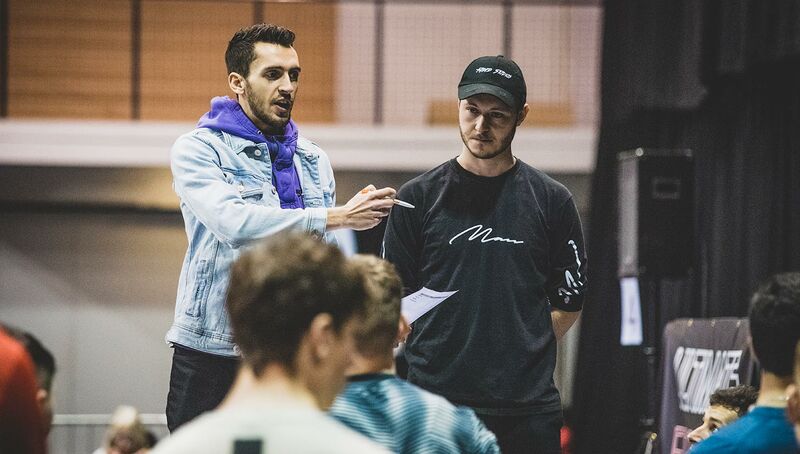 Organized in part by our very own Stephen Gray, we look back on some of the tournament’s biggest highlights, including Andrew Henderson’s surprise return, the exciting young crop of freestylers, and the remarkable sportsmanship put on display. 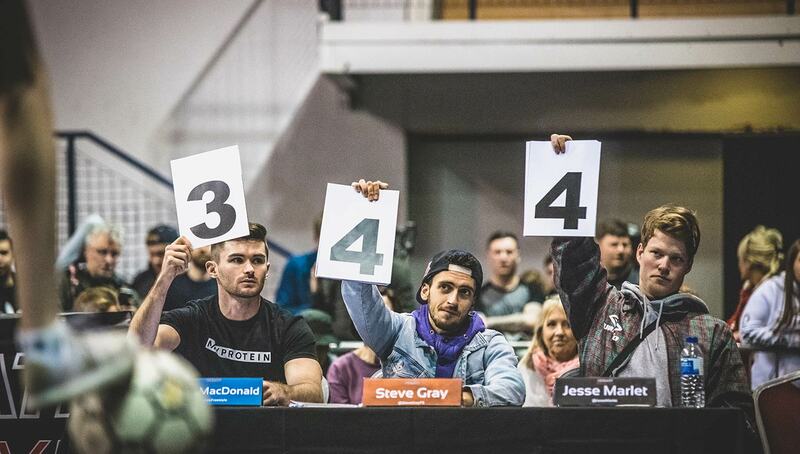 Last November, I got my first taste of what putting together a freestyle tournament was like with the first-ever Ultimate Freestyle Championships. Things went so well that we did another, albeit sooner than expected and with nowhere near as much time to prepare (about seven weeks this time). 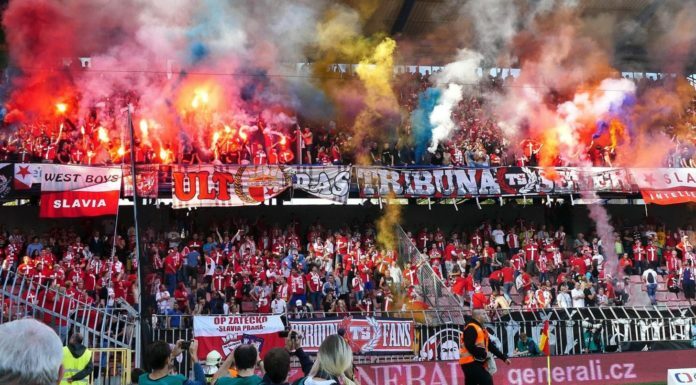 However, the turnout, atmosphere, and level from the freestylers were still all fantastic and we couldn’t really have asked for much more. 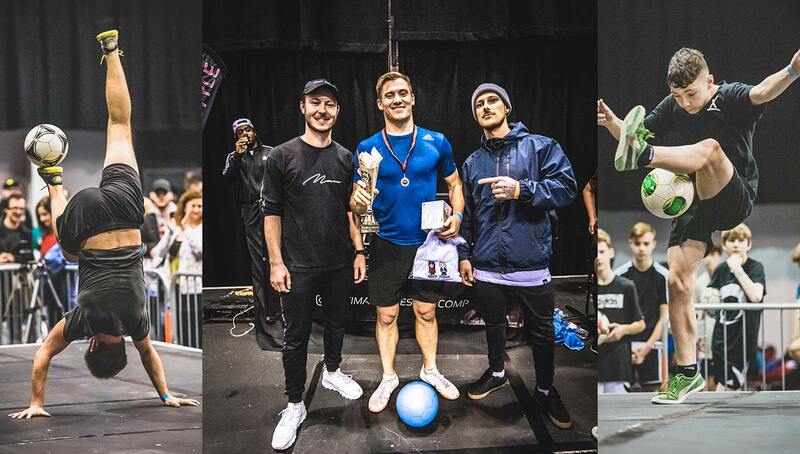 Over 30 competitors battled it out with even more prize money up for grabs. 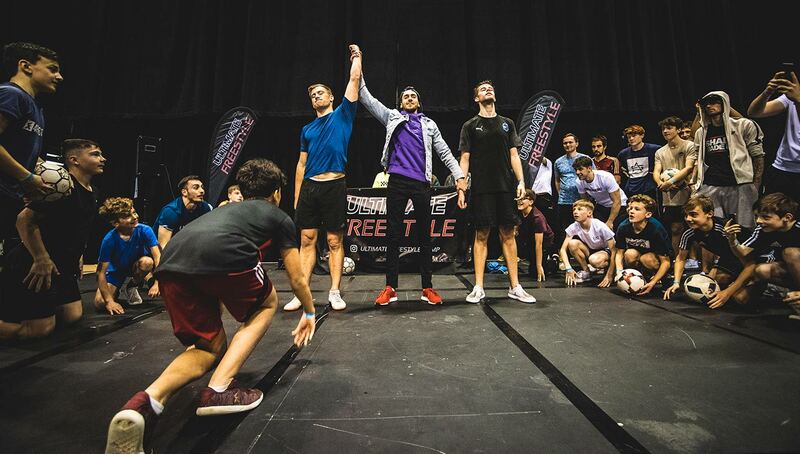 It was by no means a quick day, but it was amazing to have many new faces and over 10 different nationalities involved at the event, demonstrating the wide reach and strength of the freestyle community once again. As one of the organizers and judges, there was a lot going on and a lot of things to tend to, but we made it work and it has to go down as another successful installment of the competition series. Fingers crossed there will be another in the future, although that is not entirely within our hands. But as for last Sunday’s craziness, here are some of the biggest highlights and talking points. A lot of people thought it was some sort of prank when we announced multi-world champion Andrew Henderson as a confirmed competitor on deadline day. 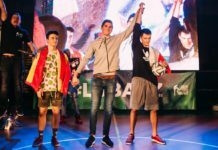 Having even used the term “retirement” himself before, and having not entered any freestyle competition in a while, this came as a huge but exciting surprise to us all. While some would say this would be an easy first place for Andrew on paper, freestyle isn’t played on paper. There is still a requirement to turn up and deliver in high pressure situations where it really matters. Andrew also had recently dislocated his shoulder, which would provide a restricted skill set for the eight-time national champion. No handstands or big transitions on the day. He had nothing to prove but in the end he did what he does best — win. He was strong in all departments, showed great control and looked as confident and cool as ever as he won the competition after seeing off last year’s champion Conor Reynolds in the final. Meanwhile, in the third place playoff it was the Dutchman Mart Pool who came out on top against the spontaneous “people’s champion” and crowd favorite, Yiannos Sofroniou of Cyprus. Speaking to Henderson exclusively after the event, he was unsurprisingly glad to see that he’s been able to keep up his elite level after all of this time. On the face of it, you would be right to have reservations as to whether this car crash of a combo (pardon the double pun) would actually work or be a total flop. Thankfully once again it was the former. Ultimate Freestyle took place as an accessory to the overarching event “Ultimate Dubs,” which is one of the UK’s biggest car shows at the massive Telford International Centre. 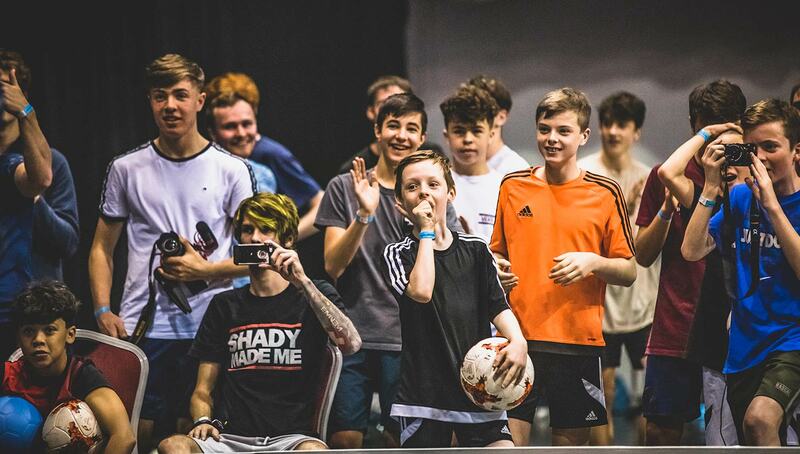 The atmosphere produced by the freestylers and audience on the day was great from start to finish. We set the stage in a way that enabled people to get as close to the action as possible and help contain those good vibes of encouragement. We also managed to maintain a crowd throughout the whole day at any given time. This reiterates the point about it not being a bad thing to have freestyle competitions tagged onto a pre-existing event. Yes they came for the flashy pimped-out cars, but having so many people walk through the doors anyway is a sure fire way to generate some interest in the event and the sport overall. One of the things we have prided ourselves on in this competition is making it open to anyone and everyone, and also giving more than one opportunity to show their skills on stage. Performing in front of an audience can be daunting, especially if it’s your first time, but with enough practice it is something you can adapt to for sure. 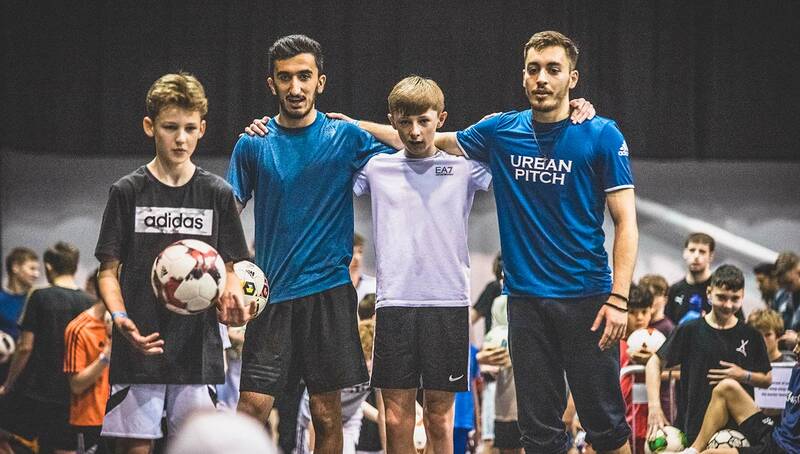 It was great to see improvement from some of the freestylers who participated last year, and especially given the young crop of enthusiastic freestylers here, it bodes well for the future of the UK freestyle scene altogether. This competition aims to give a bit more spotlight to those who perhaps aren’t quite at the elite Super Ball level as well. The likes of Leon Vizan, Ben Jefferies and Max Lawson to name just a few were all brilliant on the day and certainly are just some of the young guns to watch out for in future. It’s incredible how much they’ve improved in such a short space of time — a feature that has become noticeably alarming among the younger generation these days. It’s not often you get the opportunity to create your own live competition, and with it you’re able to put your own stamp and flavor on things. This can come in many different forms, from the brands and sponsors you partner with to the rules you wish to implement. All of this goes beyond the competition itself though. It serves as a platform to promote the values you care about. One of the things we addressed in the pre-competition meeting was good sportsmanship. In freestyle there can often be a fine line between having stage presence and being disrespectful, so we made it clear that we only wanted to see positive vibes. 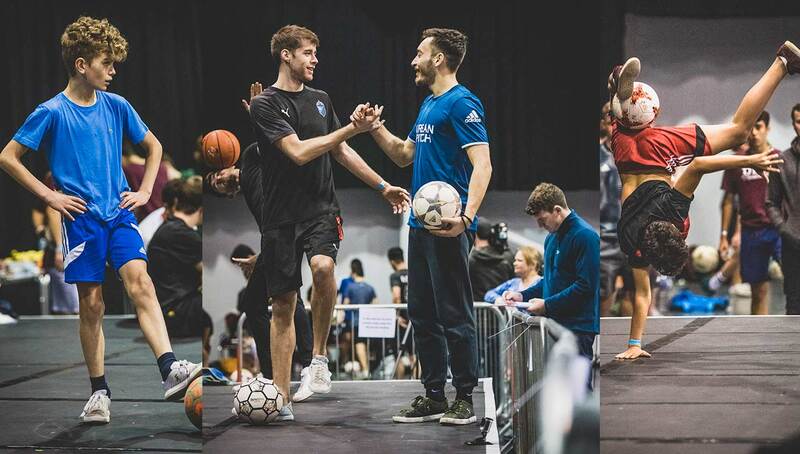 The high fives, handshakes, and all the stuff that we know the sport can and does demonstrate worldwide frequently. Any shows of bad sportsmanship and the judges had the right to take it into their considerations. If people want to go slapping the ground when their opponent drops the ball, or not returning their opponents’ ball quickly or encroaching their space or whatever, then fine, do it at another competition. But not here at Ultimate Freestyle because that isn’t the culture we are trying to promote. Thankfully it seemed like everyone really took this on board throughout the day. 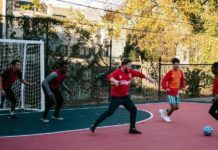 It was all love and positivity, and that didn’t deter from the competitive side of things at all. 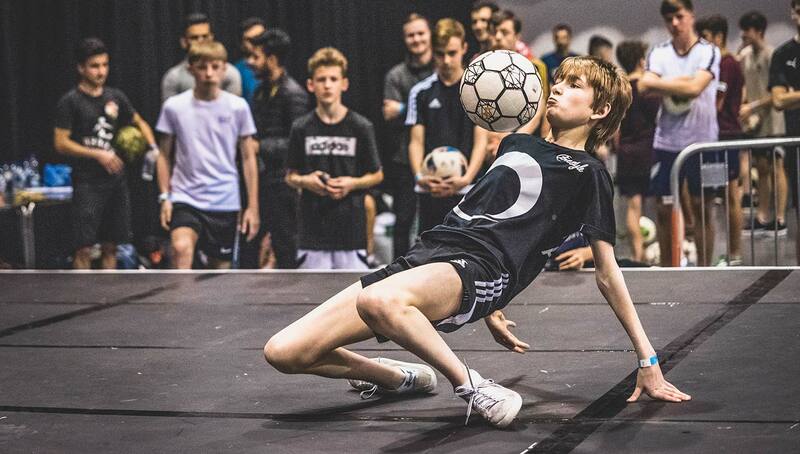 As mentioned earlier, we aren’t entirely sure when and if we will see the next Ultimate Freestyle Championships where football is concerned. We have however made it no secret that we want to give a similar positive and enjoyable platform for other sports such as flatland BMX and breakdance for example. 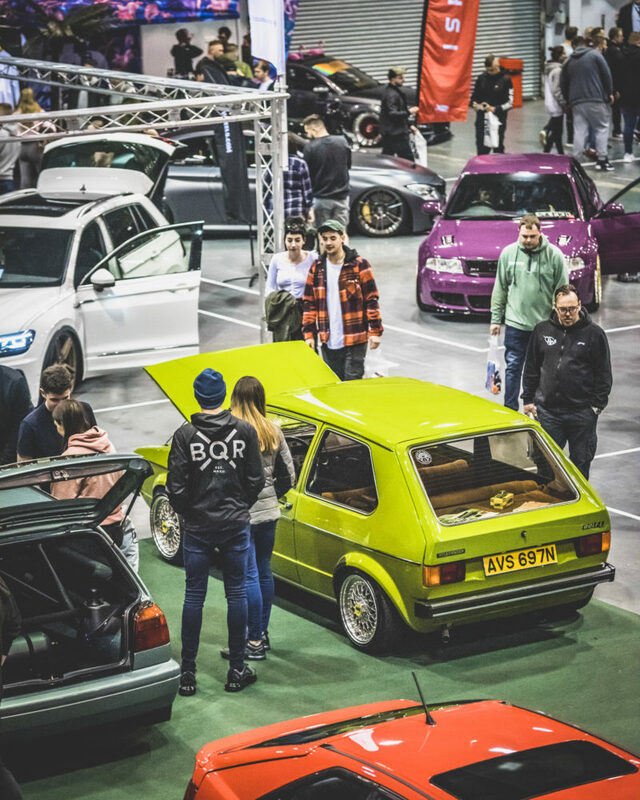 We’ve agreed in principle that when the Ultimate Stance car show returns in November, that it won’t be a freestyle football competition taking place. But this doesn’t mean we aren’t already thinking about potential plans for how we can improve Ultimate Freestyle if the chance falls in our laps again. Football freestyler and one-third of the event’s organizing team Ash Randall was optimistic and insists that we will want to keep things fresh and appealing.